Chapter 7 bankruptcy does require the dissolution of most of your assets in order to pay off as much of your debt as possible. Chapter 13, however, does not require that you dissolve your assets. With Chapter 13 bankruptcy you may be able to retain your more important assets in exchange for developing a clear debt management plan. Some of your debts may be reduced under Chapter 13 bankruptcy and most people will have to keep up substantial payments for three to five years. A New Jersey estate planning lawyer can help you decide which type of bankruptcy is better for you. Many people believe that bankruptcy completely destroys your credit, or destroys your credit for a specific amount of years, but this isn’t true. 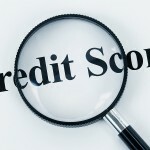 A bankruptcy will stay on your credit report for many years, but even while it is on your credit report it’s still up to the judgment of the lender whether they want to extend you credit. 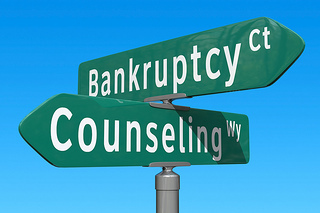 Many who declare bankruptcy will find themselves getting new credit offers within months, and this makes it important for someone declaring bankruptcy to obtain solid financial counseling. Certain debts cannot be erased by bankruptcy, and it’s important to know which types of debts are not allowed. 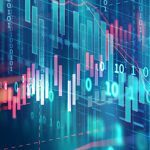 Debts such as mortgages and auto loans will usually be erased and the assets sold, and debts like credit lines and loans will usually be discharged. However, student loans are no longer covered by bankruptcy. Child care payments are also not covered under bankruptcy, and while tax debt can be reduced it usually won’t be completely removed. New Jersey Bankruptcy Chapter 7 attorneys can look over your debts and discuss which ones can be removed or reduced. Many people labor under the misconception that it’s easy to run up a lot of debt and then declare bankruptcy, but this isn’t true. There are many things you need to do to apply for bankruptcy, in addition to engaging a bankruptcy lawyer. Your assets and debts will be investigated, and if you charged a lot of debt just before bankruptcy it can be considered bankruptcy fraud. The process of bankruptcy itself is usually very detailed, and the consequences of bankruptcy will follow someone for a long time. 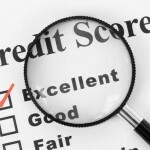 There are many households that find themselves facing bankruptcy through no fault of their own. With the bad economy, problems with the housing market, and the uncertainty of the stock market many households found themselves in desperate financial situations. Because of this, you should never feel as though you’ve failed simply because you’re considering bankruptcy. There are always some circumstances beyond your control.